Twenty nine years old female patient from England was addicted to heroin and crack cocaine. At the Dr Vorobiev clinic, she went through ultra rapid opioid detoxification and naltrexon therapy (3 months implant) and is very satisfied with the results. I’ve had two treatments for my heroin addiction which I’ve had for the past twenty years on and off. 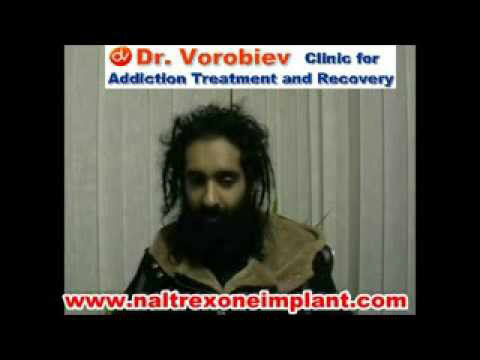 I had two treatments which are the Ultra Rapid Opiate Detoxification. I’ve now completed detox, and looking to put an naltrexone implant in. Forty two years old male patient from UK. He was using heroin for twenty five years, and went through three unsuccessful and painful detoxes before. He went through the least painless possible drug detox, and stayed in Serbia for a while for an outpatient treatment. I’ve been a drug addict, a heroin addict for about ten years, 10-14 years. I’ve stayed here seven days. It was the best seven days that I stayed anywhere to detox, and I recommend it to anybody.So if you ever think about coming – come! 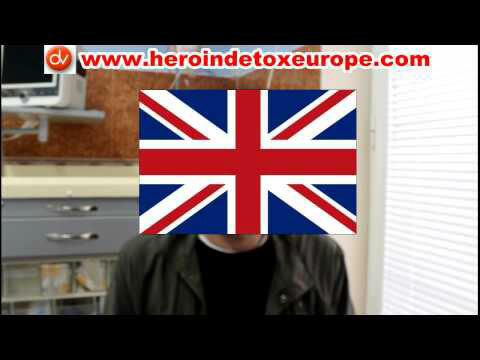 Hi, I’m from London, I’ve been a heroin user for more than ten years, mainly pure heroin. And that was two to three grams a day. I found this clinic on the internet which was one of the cheaper ones – 2000 Euros which is affordable when you’re spending that much money on heroin a month. I was using heroin, smoking heroin for past 25 years, mostly nonstop. Do you think that treatment you had to detox procedure … how did you feel straight after detox procedures? Very satisfied. 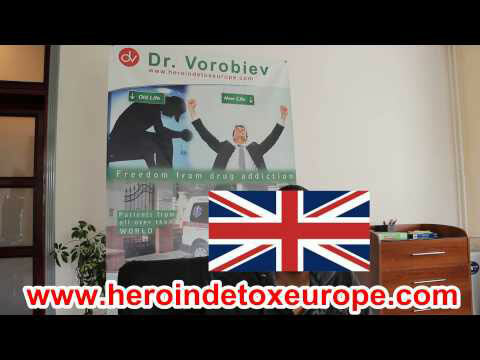 Me and my girlfriend we traveling all the time and we find dr Vorobiev clinic. We came back and Claudia found that was the last chance to detox from heroin which she is been suffering from for around 20 years. Came to the clinic … normally what to expect. Patient form England was addicted to heroin and methadone. He was nervous and began feeling withdrawals upon reception but straight away, after signing some papers he went through detox and is feeling great now. I being doing heroin for 17 years and after today I have made huge breaks through by doing drugs Naltrexone implant by doctor Aleks in Belgrade, we are in the finest hands of people in Serbia, and I would like to all other addicts that life can get better. Female patient form UK was addicted to crack and heroin.She came to the clinic for rapid drug detox and naltrexone 12 months implant. She got rid of heroin cravings, and is very satisfied with the treatment, satisfied with the staff at the clinic and atmosphere among patients. Patient from the USA with ten year addiction to prescription drugs. At Dr Vorobiev clinic she went through successful detoxification and ibogaine therapy and she is very satisfied with the results. Forty four year old patient from Manchester that got addicted to prescription drugs. He went through detox and chiropractic sessions for his lower back problem and psychiatric and psychological care as well for his anxieties - so this is the first clinic that addressed the root of his problem. Twenty year old patient from Florida, US. He went through the detox, maintaining therapy and he is extremely satisfied with the results. This Clinic is the best one, it would be a part of him for the rest of his life.